Examine the document below to learn how to compose a polite email. MLA Format stands for the guidelines for submitting writing created by the Modern Language Association. You will use MLA format in high school and college. All final writing pieces that you submit MUST use MLA format. You will lose points if the document is the not formatted according to the rules below. 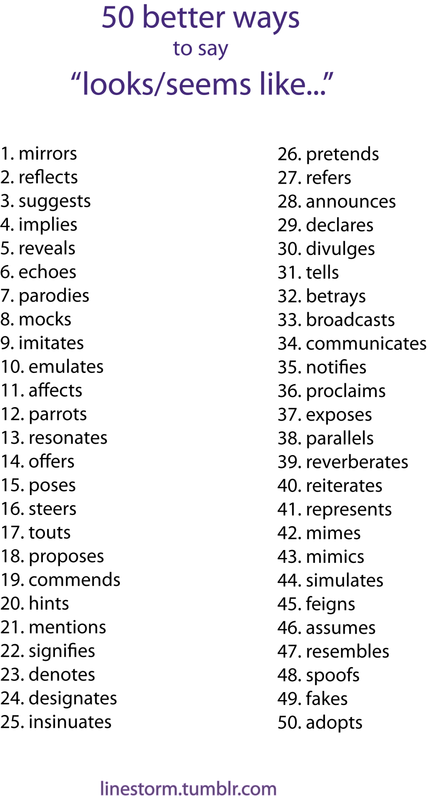 Please read the following list of writing mistakes. We will deduct one point for each mistake--whether it is made on classwork, homework, quizzes, or tests, so please proofread carefully! These mistakes are not acceptable on an eighth-grade level. Click here for a list of alternatives for "good." Scroll down for the list. You can even click the words for the definitions.